Not to bad! 4 out of 5 from 50 yards. 395gr Lyman Plains Bullets from my Traditions Hawken Woodsman with 70gr Pyrodex P. Paper patched version is up next! The real surprise.... It shot the same POI as the round ball! I know that will change at 100 yards lol. 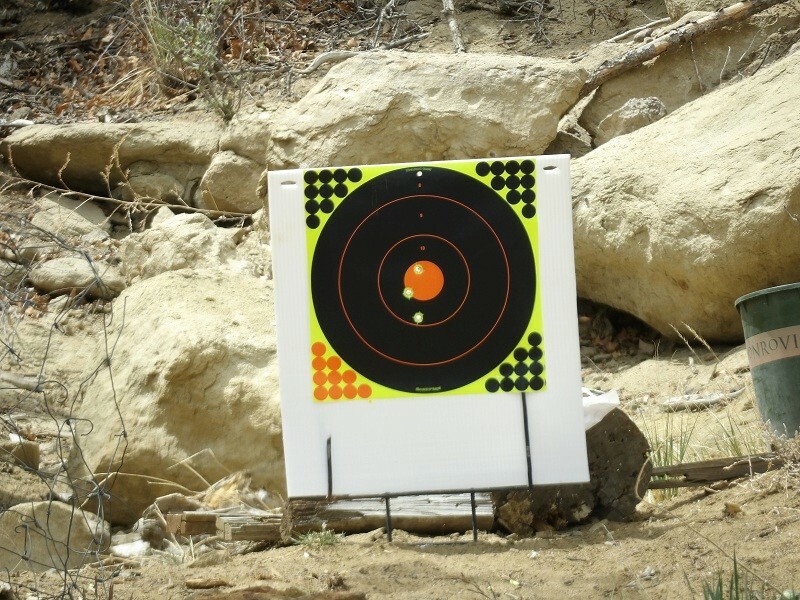 The two next targets were with 80gr Pyrodex P, .501" Lyman Plains Bullet, lubed .060" veggie wad from 50 yards. 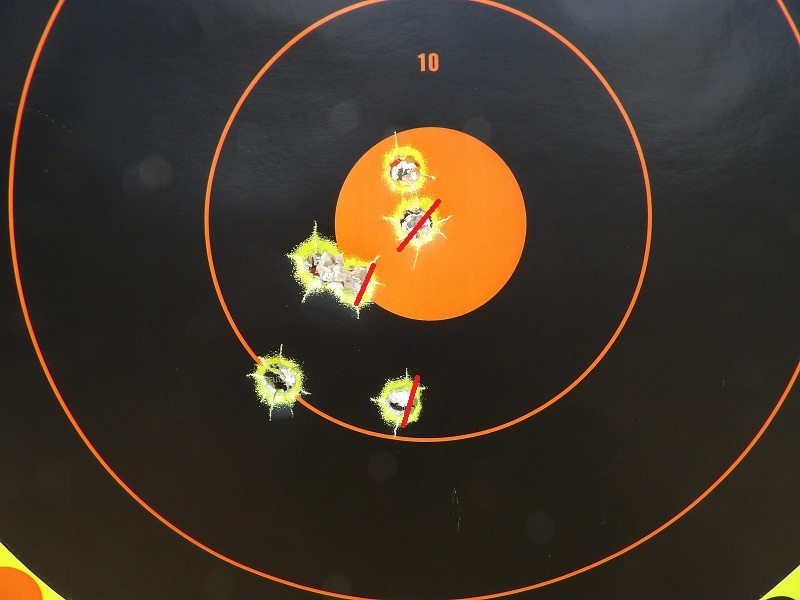 Not sure if it was the extra powder or the harder wad I used, but accuracy wasn't that great. 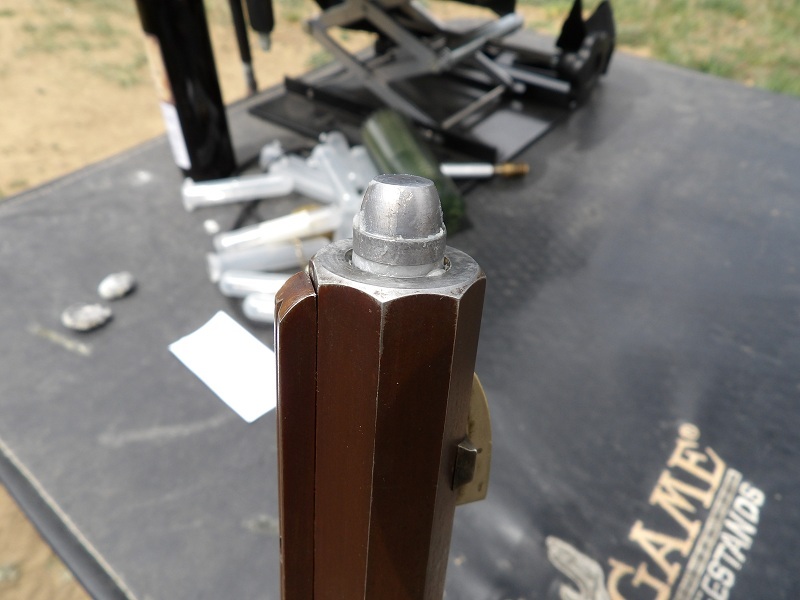 This bullet again loaded to easily on a clean bore. As I reached for my camera, the bullet slid down. 3 more shots without swabbing and NO veggie wad. Not to bad! 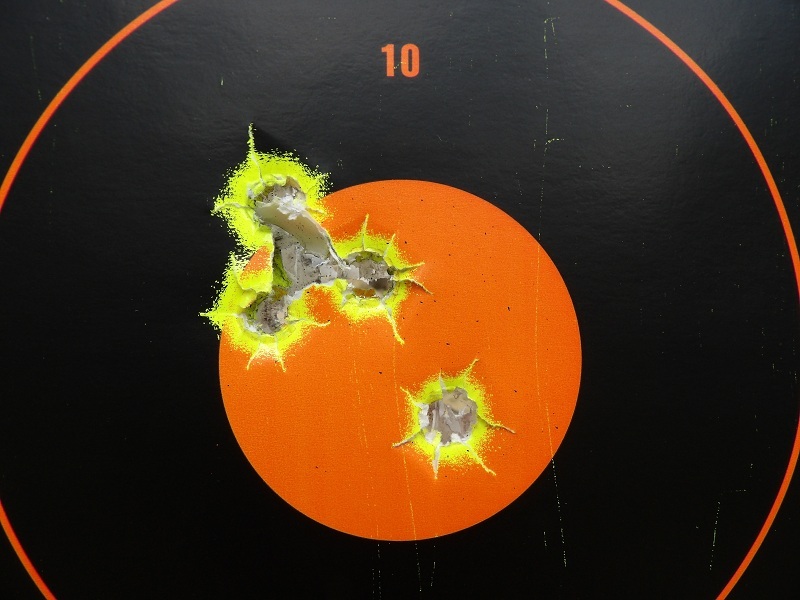 4 out of 5 from 50 yards. 395gr Lyman Plains Bullets from my Traditions Hawken Woodsman with 70gr Pyrodex P. Paper patched version is up next! The real surprise.... It shot the same POI as the round ball! I know that will chance at 100 yards lol. Hey your ready for "The CSMLA Squirrel Shoot" next year kid.